Sodium Borohydride NaBH4 is a common reducing reagent used with carbonyl compounds. 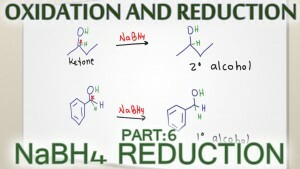 NaBH4 is a weak reducing agent and will only reduce ketones and aldehyes. Watch for the explanation below including reaction, mechanism, and practice problems.